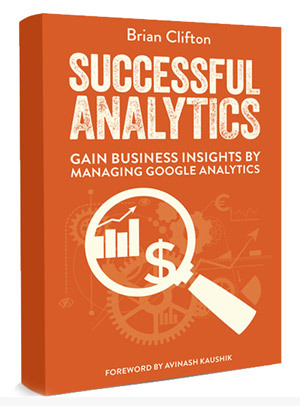 The new book is launched – Successful Analytics: Gain Business Insights by Managing Google Analytics. The link takes you to the buy page for the print addition. You can also purchase via Amazon and other stores (both print and ebook versions). What is unique to digital analytics, is that the data collected in not just about your customers – in fact, these are only a very small slice, typically 2-4% of your visitors. Knowing what the other 96-98% of your visitors who don’t convert are doing and understanding why they don’t convert, is clearly a huge opportunity for any business that invests the time and effort in doing it right. 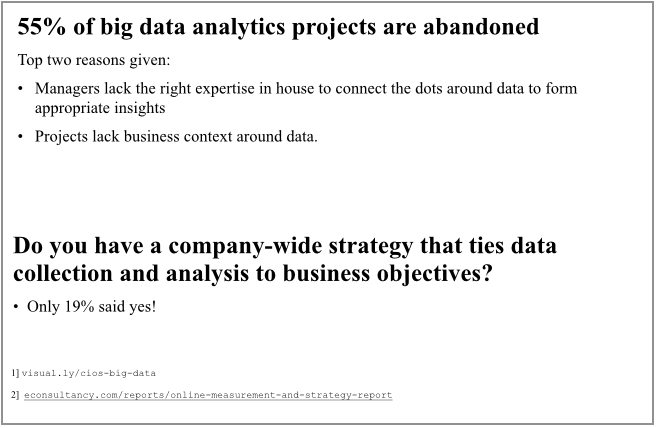 But what does “doing it right” mean for digital analytics? I wrote this book to answer that question. This book is for you if you are a digital analyst working with Google Analytics who wishes to go to the next level of their career. This book is for you if you are a manager of data who needs a solid understanding of best practice website measurement, the capabilities of Google Analytics, and how to guide your organisation’s digital strategy. This book is also for students of quantitative marketing (and Economics & Management) looking to gain a detailed knowledge of what it takes to be successful with digital analytics. For all of the above, your ultimate interest is in insights and knowledge, not more data! Put succinctly, this book is about building trust in your data. That is, so your organisation trusts and can rely on its digital analytics data. This book is about knowing what to focus on, what you can expect in return, the processes to put in place, the pitfalls to avoid, the talent you need, and how much investment is required in order to make it all happen. In short, whether you are an analyst or a manager, I aim to put you in control and provide a perspective on the entire process of building, and using, a data-driven environment using Google Analytics. My intention is that senior managers, stakeholders and analysts will all speak a shared language, have mutual expectations and ambitions, and can set a common path to build a data driven environment of serious business credibility using the worlds most popular analytics tool. I hope the method has worked. Here’s the book introduction and Table of Contents (detailed version). You can buy the book directly form this site. Would you value this book in your language? @Gerard – Thanks for the interest. Its quite difficult to explain this properly for the benefit of other readers here using comments, so I will write a full blog post on this in the near future. I’ve read your book successful Analytics. Nice read, thank you very much. Chapter 8 is my favourite. I’ve got a question about your second case study (chapter 10) about content optimalisation. How did you set up the segment with landing/exit page + navigating visitors to other parts of the site (content groups)? Should you combine (and construction) landing and exit pages from one section with the other sections (content groups) on your site?